Oh Goodie! Vol. 1 “Introduce Yourself” AVAILABLE NOW! This is it! It’s finally here! It’s finally ready! 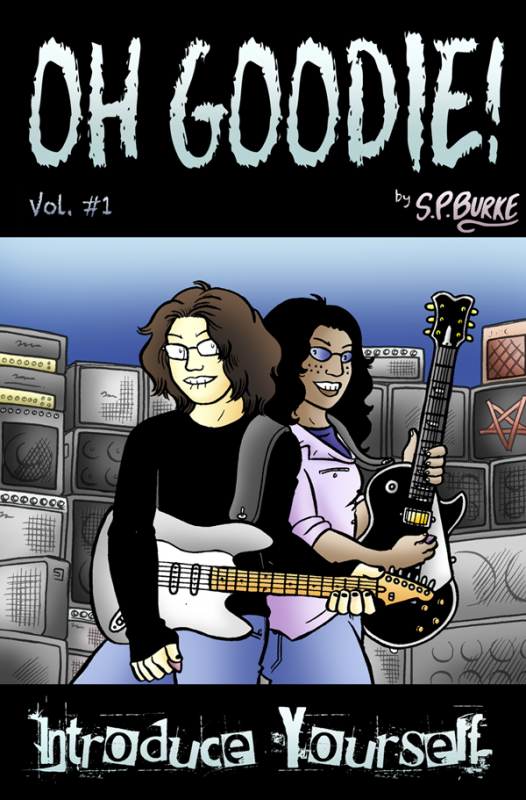 The very first “Oh Goodie!” book “Introduce Yourself” is available for sale. This 116 page book contains every comic between October 2009 and January 2011 (up through the end of the “First Gig” story), the first “Eddie Van Helsing” story, every B-side, holiday special, and sketch week post, a foreword by comics scholar (and my former professor) Diana Green, and never-before-seen-material that has never been published ANYWHERE before. If you want to order it for your comic book store, you can go here, or e-mail me directly and I can give you a special deal.